Sen. Brownback's proposal would have Senate conferees agree to the House bill's exemption for dealers. WASHINGTON – Dealer groups suffered a temporary setback Thursday when the Senate approved a sweeping financial regulation bill that excluded an exemption for auto retailers from government oversight. The Senate bill now goes to a conference of congressional leaders who will try to reconcile differences between the financial legislation and a similar measure that passed the House in December. The House bill differs from its Senate counterpart in that it contains an exemption for auto retailers that had been proposed by Rep. John Campbell, R-Calif., a former dealer. Before this meeting of House and Senate leaders takes place, though, the Senate has scheduled a vote Monday, May 24, on a proposal by Sen. Sam Brownback, R-Kan., said Bailey Wood, a National Automobile Dealers Association spokesman. The Brownback proposal would instruct Senate conferees to agree to the House bill's exemption for dealers, Wood said. If the Senate approves this proposal -- and Wood is confident it will -- Senate leaders would be bound to join House leaders in including the dealer exemption in the single bill that emerges from conference, the NADA spokesman said. A Brownback spokeswoman didn't immediately respond to a request for comment. The reconciled legislation that is cleared by the House-Senate conference would then be resubmitted to the House and Senate for final approval. Such a step is normally routine. It then would go to President Barack Obama for his signature, possibly within a few weeks. NADA's vote-counting in the Senate followed intense grassroots lobbying by the organization aimed at countering opposition from a broad coalition of groups headed by the Obama administration. The groups represented military families, consumers, banks and civil-rights advocates who argued that a new consumer agency would do a better job than the Federal Reserve has done at policing dealer abuses of enlisted military and low-income customers. NADA contended that dealers don't need another layer of oversight because they already are sufficiently regulated by the Fed, Federal Trade Commission and state agencies. Financial institutions that extend loans to auto customers would fall under the consumer agency's purview, the dealer group said. The impetus for a consumer financial-protection agency originated with the financial meltdown of recent years. The agency would oversee mortgages, credit and debit cards, and other financial products for consumers. Today's complicated developments set off confusion among the lobbies. But when told of NADA's observation that the Senate vote on Monday could reverse the language of the current bill, Consumer Federation of America spokesman Jack Gillis said, “Yikes!” and asked for time to look into the matter. The vote followed partisan maneuvering over the Brownback amendment to exempt dealers from oversight by a consumer agency that would be housed inside the Federal Reserve. The Senate was slated to vote on the amendment today, but Brownback withdrew it when Sen. Carl Levin, D-Mich., tried to attach a separate banking provision on proprietary trading. 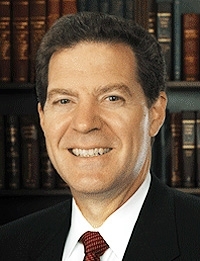 Brownback, who is running for governor of Kansas, was afraid his amendment would go down to defeat if the Levin provision were attached, Wood said. That's why Brownback withdrew it, leading to a Senate vote on the financial regulation bill without a vote on a dealer exemption.